This innovative guide to the Latin language, written for a new generation of students, deploys examples and translation exercises taken exclusively from the Classical Latin canon. 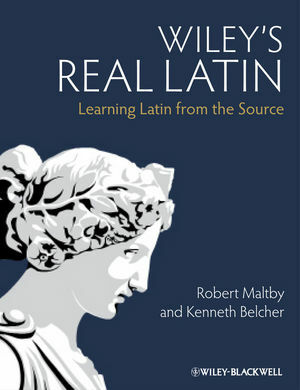 Robert Maltby is Emeritus Professor of Latin Philology at the University of Leeds. His previous publications include A Lexicon of Ancient Latin Etymologies (1991), Tibullus Elegies: Text, Introduction and Commentary (2002), and Terence: Phormio (2012). Kenneth Belcher is a Teaching Fellow in Classics at the University of Leeds, where he lectures in Latin and Greek literature and language. He has contributed conference papers in the UK and internationally. An accompanying website providing a comprehensive instructor manual and studying aids for students is available upon publication at www.wiley.com/go/reallatin.